It starts with the name — featuring two cities as opposed to the usual one — and involves venues dotted across a large swath of northern Italy stretching from Milan to the Dolomites. The Milan-Cortina bid for the 2026 Olympics has the potential to leave a new blueprint for the future Winter Olympic Games. It starts with the name — featuring two cities as opposed to the usual one — and involves venues dotted across a large swath of northern Italy stretching from Milan to the Dolomites. "There will not be another `No' because the boat has already left the port," he said. "Other countries don't have our volatility in terms of saying yes or no. But they have a different problem — referendums. And I'm not sure which one is worse." 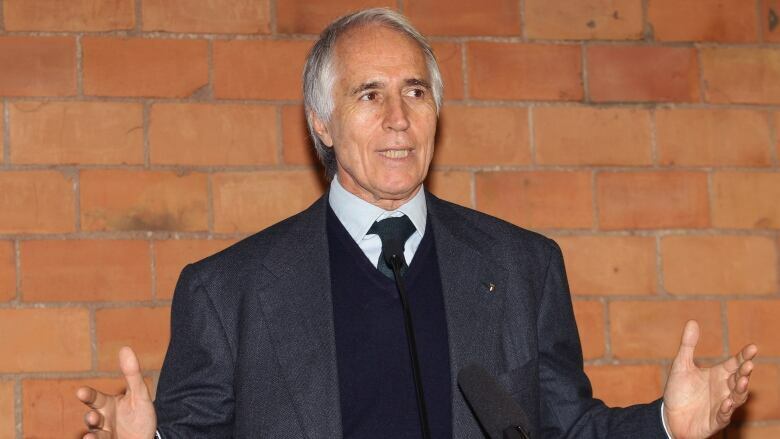 "This government knows that one of the strongest — if not the strongest — factors of our bid is the strength of our Olympic committee," said Malago, who recently became the 22nd Italian member in IOC history — and one of three current Italian members.